Lee Jae-eun (23), a senior at the YU Department of English and English Literature, was selected for the UNV (United Nations Volunteers) of the UNDP (United Nations Development Programme). Miss Lee will work at a local international organization in Sri Lanka for six months from February to August. The international organization will fund all her expenses during her stay. Lee was selected as the only person from Korea to be dispatched as a UNV to the UNDP PBF team. Lee was finally selected after a video interview with a local UNDP employee in Sri Lanka. UNV is an international organization under the UNDP established with the resolution of the UN General Assembly in December 1970. With the goal to contribute to global sustainable development and maintaining peace, it dispatches volunteers to local offices of the international organization to engage in development support and humanitarian relief projects. Miss Lee will participate in international cooperation projects being carried out by the UN for better quality of life and will be in charge of PR using social media platforms to share the importance of volunteering. Lee has been gaining experience from long ago with the goal of stepping into the international stage. 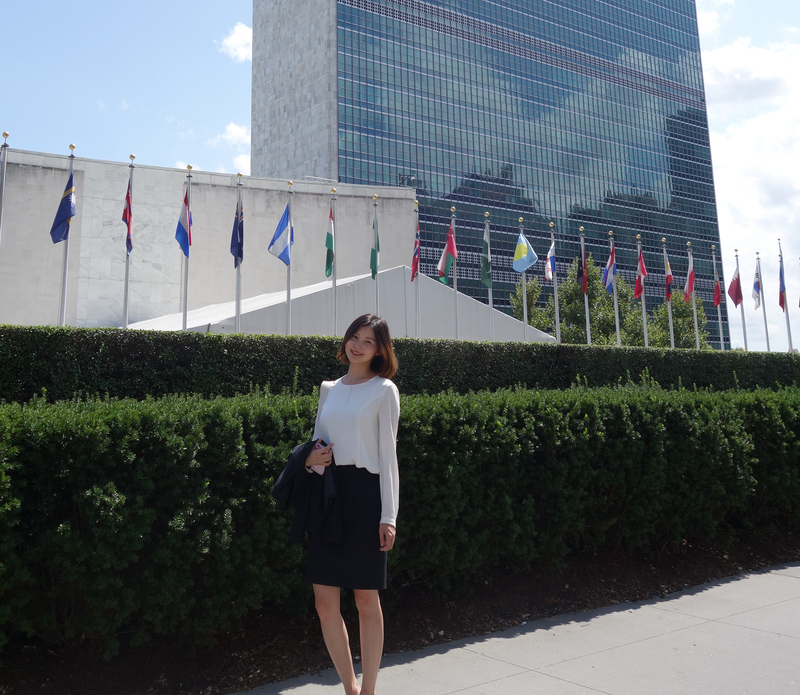 She went to Northumbria University in England for one year from September 2016 as an exchange student and last summer, she was selected as the World Federation of United Nations Associations ‘UN Korean College Student Representatives’ and went to the New York Headquarters of the UN to interact with current employees for a week.